The recent amendment to Section 4A of the Cable Regulation Act, 1995, legalizes an ordinance issued in October this year for implementing mandatory addressable digitization (MAD) throughout the country in phases starting June 30, 2012. The bill mandates complete digitization in the four metros of Delhi, Kolkata, Mumbai and Chennai by June 30, 2012. Digitization means that there will not be any analog signals as these signals will be switched off after the cut off date. The local cable operator will not be able to beam any analog signals. The TV will be completely blacked out if the viewer is still on analog cable. Mr. Saurabh Dhoot, Director – d2h added, ""The DTH industry is growing rapidly and it is only set to spiral upwards in the next few years with the government announcement of obligatory digitization of satellite transmission. As all the consumers currently on analog transmission will have to shift to the digital space, this essentially would lead to huge growth in the sector. d2h is vying for a good portion of this 'crossover pie' to create a dominant position during this transition phase."" One will not be able to view any television programs unless he is receiving digital signals. The operators need to carry only the digitized signal & to get these digitized signals, one needs to have a set top box which will be decoding them in digital format. There will be no prime band after introduction of digitization. With digitization, the signals will be strong, as the set top box will be decoding the signals locally. The difference between the set top box of a digital cable and a DTH set top box is the availability of many value added services. These value added services are not available with the digital cable services. The services provided by DTH companies are much more organized. There are many channels which are currently available only on DTH platform. With digitization, the subscribers will be able to enjoy high quality DTH services with good clarity and sound. They will be able to enjoy the minutest details of the program. As the industry is growing, there are significant new subscriber additions every month and the switch towards the High Definition mode is quite high. Another major advantage of DTH services is the availability of High Definition channels. High Definition means the signals which have better resolution, better sound clarity and better picture clarity than the normal standard definition signals. The quality of High Definition signals leaves the viewer spell bound when watched through d2h HD Box. 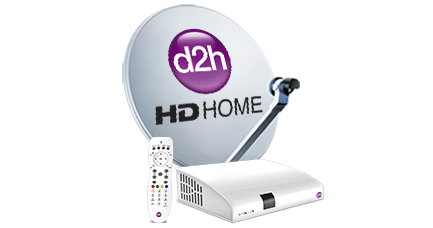 d2h provides High Definition signals which are of 1080i resolution and are not upscaled ones like some other DTH operators. It offers High Definition channels in HDD Sound, 5x digital picture and 16: 9 ratio, which the analog and digital cable operators will not be able to offer. It also provides the highest number of Asli ""HD"" channels on its platform. There are currently 6 private DTH players in the Indian market. d2h is the fastest growing DTH service in India, with highest number of 333 channels and services, highest number of sports channels, all leading GEC channels and a gamut of regional channels. It is poised to gain significant advantage from this development of mandatory digitization. Powered by the MPEG-4 and DVB-S2 technology, d2h offers unmatched services like 12 PIP Mosaic, Movies on Demand (MOD), weather updates, High Definition channels and multiple tickers to transform your TV into a hub of entertainment and knowledge. Apart from these, it has Active Music which includes 21 Audio / Video active music channels 24 hrs a day. In addition, you get a round-the-clock prompt and efficient customer support in over nine languages from the dedicated customer care team present in 7 locations. d2h offers channel packages catering to various regional preferences. It had launched India's first Satellite HD DVR with 3D. It offers interesting features like Auto Serial Recording, Pause Live TV along with rewind, forward & slow motion. 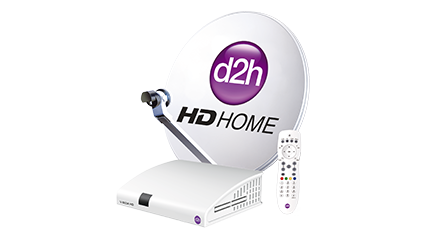 Mr. Anil Khera, CEO d2h added ""With a strong set of features, excellent technology backed by a service team geared up to provide 24 * 7 services, it's time to subscribe to d2h services, to avoid a black out of the analog cable services and enjoy the wide range of channels and services provided."" Common Antenna is a customized solution for connecting multiple houses within the same multi storied building to receive Direct-to-Home services. Households do not need to install individual antennas, as their individual set-top boxes will be linked to a common antenna installed on the terrace of the multi storied building. It keeps the terrace tidy and clutter free. 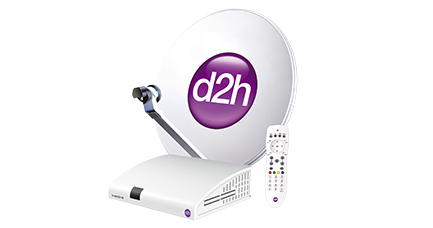 d2h offers Common Antenna services and has been a front runner in the same. d2h Common Antenna service offers advantages like Clutter Free Terrace, Good Signal Strength and Normal Rain Proof. Digitization would undoubtedly result in a win - win situation for everyone involved, right from government, broadcasters to DTH operators & above all the consumer.